Square foot gardening plant spacing seems like it should be simple, but if you don’t take companion planting into consideration, then you run the risk of your garden turning into a total flop. What is square foot gardening & why does spacing matter? NOTHING is worse than doing everything right, only to have a garden that doesn’t yield anything. Ask me how I know – somehow, our sweet potato harvest this year didn’t go as planned. And it was disappointing to pull up the plants I’d waited 5 months to harvest only to find they never actually grew anything. (Tomatoes on the other hand….we harvested nearly 100 pounds. You win some, you lose some, right?) Here’s my tips on growing tomatoes. This tomato gardening tip helped with our harvest, too! Consult a companion planting guide so you can be sure your vegetables will grow well next to each other. Now, if you don’t know what square foot gardening is, it’s simply a garden segmented into 1 foot by 1 foot squares (I mean this method isn’t called square foot gardening for nothing, right?) and in each square, vegetables, herbs, or fruit are grown. The amount of plants grown in one square foot depends on the type of plant – some squares will have more and some will have less. 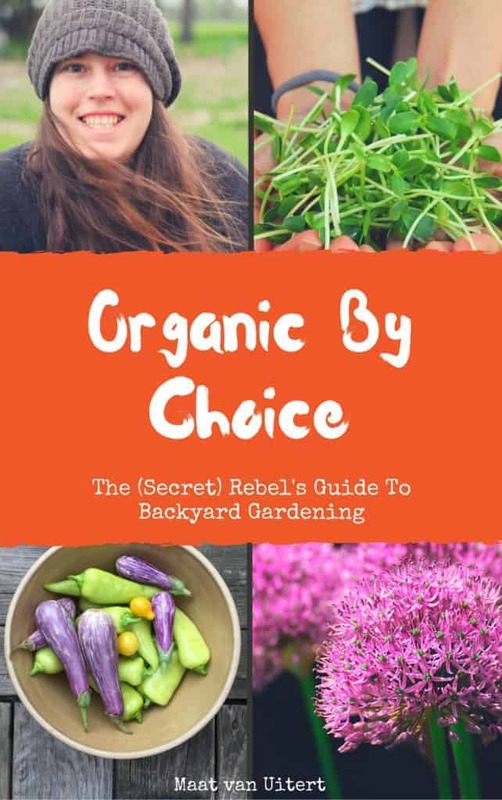 Get it wrong, and your garden might not perform the way you expect because all the nutrients will either go to one plant, squeezing the others out. Or the nutrients will be distributed among each plant, but it won’t be enough for each to flourish, and they’ll all be stunted or grow poorly. Now, I’ve tried a lot of gardening methods. I mean a LOT. And as far as simplicity goes, square foot gardening is the bee’s knees, particularly because it makes plant spacing easy. Square Foot Gardening lets you maximize your space so you get high yields from a small area. But just because it’s simple doesn’t mean you can ignore the needs of your vegetable plants. If your square foot gardening plant spacing is off, then your ship is pretty much sunk before it even starts. If your garden happens limited in size, then planning your square foot gardening plant spacing before digging into the dirt will let you make the best use of your gardening space that way. If you only have a few feet, then growing onions, which need quite a bit of space, are heavy feeders, and need a long growing season probably isn’t your best choice. Growing lettuce, tomatoes, and herbs will give you a greater yield in your tiny space and let you have a more satisfactory harvest and overall experience. Want to know more about growing herbs? Click here to learn more about my book, Herbs In Your Backyard. Each January, before I begin even thinking of seed starting, I list all the herbs and vegetables I plan to grow as well as their individual needs. (I don’t personally grow fruit in my garden – they live elsewhere on the farm). I also consult a table that tells me how many plants of each species should go in each square and double check my companion planting guide (you can download it here) so I know which veggies play nice and which don’t. While this advice seems ultra simple and obvious, once you actually begin plotting your garden with square foot gardening plant spacing, you’ll notice that you might need to think a bit before deciding on a final plan. So, square foot gardening plant spacing is important, as is making sure your companion planting is on point. There’s also my favorite templates for a Salsa Garden, and All Tomato Garden, and more. After figuring out what you plan to grow, then draw out a grid the size of your garden (to scale) and segment your “garden” into 1 x 1 foot squares (again, to scale). Start filling in the boxes with what you plan to grow – use your list, the square foot gardening template or list above, plus the companion planting guide to decide on a final arrangement. If you get stuck, or want to grow several plants that won’t grow well together, then prioritize. Is growing onions really necessary, or will you or your family prefer more tomatoes for pizza or herbs for homegrown herbal tea (try growing some of these perennial herbs!)? 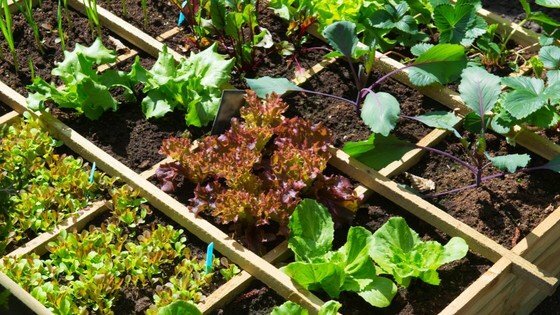 Using this guide, you should be well on your way to planning your square foot gardening plant spacing for a healthy, full harvest this summer!